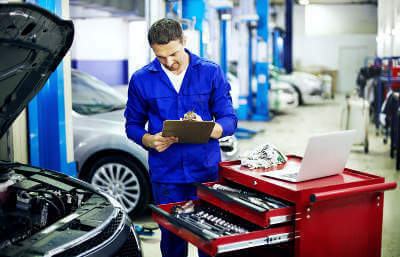 A testing station’s reliability and the trust it earns from its customers as a result has won out as the top factor car drivers look for when they are choosing where to take their vehicle for its MoT. were the most commonly mentioned qualities which respondents said they would expect from the garage which carries out the annual exam, and which would persuade them to go back and recommend it to others. 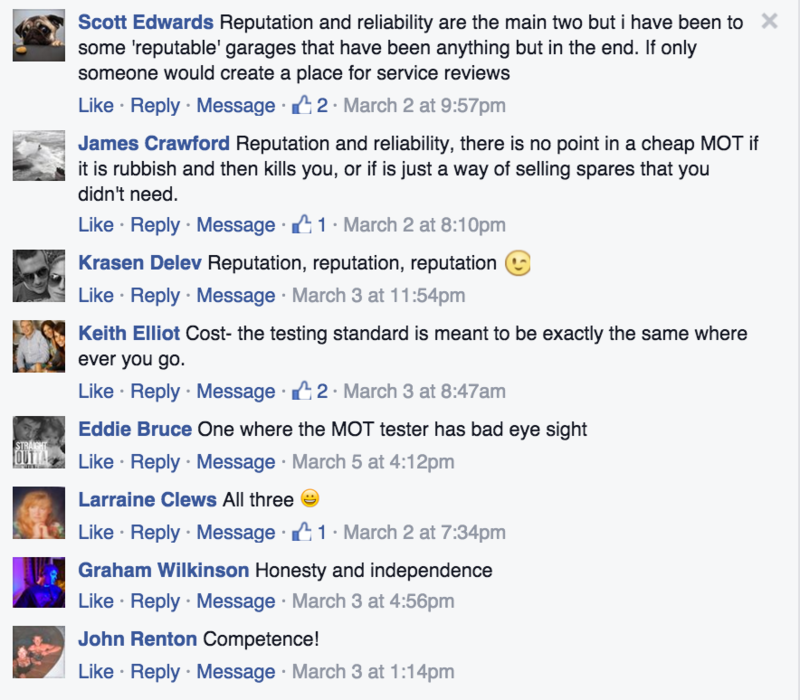 Respondents took the chance to vent their feelings about the MoT testing process - and told us that they wouldn’t necessarily use the nearest testing station to them if they knew of one which had a better reputation - just one in six (17%) said the location of the station was the chief reason for their choice. Apart from this lack of concern over convenience, the survey also revealed some fascinating insights into customers’ approaches to choosing their MoT provider - and the fact that trust and reliability won out over all other factors shows just how much people value a service like that which MyCarNeedsA.com provides. Background - What Is The MoT Test? That’s a pretty general description of what the test entails, but given the way all the technology which is incorporated into all vehicles has changed so dramatically over a relatively short time, it’s necessarily so. The test has existed since 1960, and was one of the major achievements of the then Transport Minister, Ernest Marples. It initially covered only vehicles over 10 years old, and encompassed just basic checks of steering, brakes and lights. Tyre condition didn’t come under scrutiny until 1968, while among a long list of components first added to the mandatory checks in 1977 were windscreen wipers and washers, direction indicators and exhaust system as well as general body condition. Emissions tests first became a feature in 1991 for petrol vehicles, and three years later for diesels. The qualifying age for vehicles needing a test certificate was cut to three years in April 1967, although it is little known that in Northern Ireland, a car doesn’t need to be tested until its fourth birthday. Until 2010, every testing station charged the same price for an MoT test, but now the fee, which is set annually, is only a maximum. That has led to many garages reducing what they charge - although the question of whether some do this in an attempt to lure customers in and then try to pressurise drivers into having other work done to make up the shortfall is a moot point, which was raised more than once by our survey respondents. The fact that an MoT test is required every year on the anniversary of the vehicle being registered once it reaches three years old makes it one of the more stressful times of the year for a fair proportion of motorists. Our poll suggested, however, that being able to rely on the judgment of and advice provided by a garage was an important factor in making the testing process less of an ordeal, with 48 per cent of our participants citing the garage’s reputation as their main deciding factor in choosing to use their services. Yet just over a quarter (27%) of those polled said the cost of the test was the main influence on where they chose to get their vehicles examined. And with a test costing a potential £54.85* for most customers - even more for some - and this charge being the legal maximum, it stands to reason that many people will be attracted by the prospect of being able to save on this headline figure. But one respondent, Keith Elliott, said that, on the basis that the standards of the work done at the test were supposedly set out by law, price was his only consideration when choosing an MoT provider. James Crawford made the salient point that cost should not come into the equation, adding: “There is no point in a cheap MoT if it is rubbish and then kills you, or if [it] is just a way of selling you spares that you didn’t need.” In a similar vein, John Renton summed up his criterion for choosing an MoT testing centre in one word: “competence”. Well, that’s exactly what we’ve done at Mycarneedsa.com - for MoT tests and any other type of repair you book and have done to your car using our service. You need to have booked your MoT using our service, because this will then create an account on our site with a log-in which you can use to offer other users your opinions and recommendations. After this, your reviews help influence the options we offer our users, because they’re one of the criteria - alongside and the provider’s proximity to your address, of course, and whether they’ve told us that they offer the service you’re looking for - we use to present our recommendations to you. *Maximum fee chargeable for cars and goods vehicles up to 3,000kg as of March 2016.